Classic LifeCare has been providing the finest home care experience for more than 40 years. We treat our clients as people, not patients, and help them live in the moments that matter to them. What makes Classic different from other home health care agencies? Like a “Goldilocks” agency, Classic LifeCare is not too big, not too small, just right. Big enough to provide excellent, quality service with administrative and clinical support, but small enough to pick up the phone and answer when you call. We provide client-centred care, focusing on who the client is as a person, rather than what their health status is. We tailor our services to each client’s specific needs, while respecting their culture, preferences and unique situation. 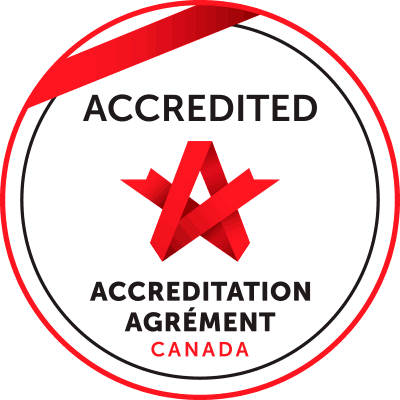 We’re Accredited with Commendation by Accreditation Canada. Out business thrives on providing great service. That’s why we have been in business for more than 40 years and that’s how we provide the finest home care experience. We’ve been a family-run business for more than four decades. Most importantly, we’re dedicated to providing client-centred care. We understand that we’re not the boss of you, so we create personalized care plans based on your personal preferences and needs.